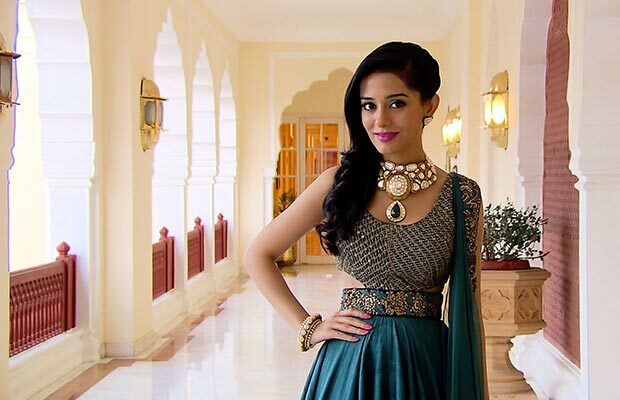 Exclusive: Amrita Rao On Her New Jaipur Jewellery TV Show And Upcoming Films! 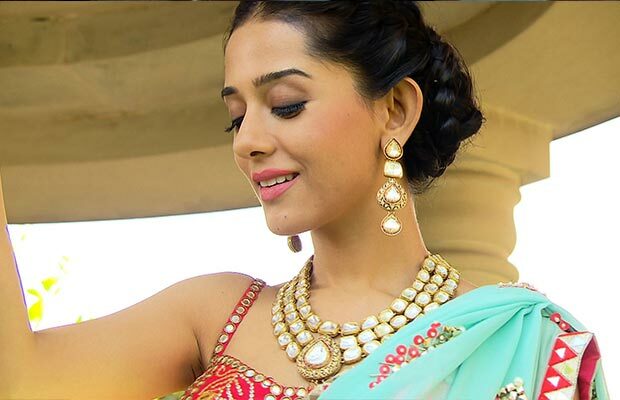 [tps_footer]Critically acclaimed for her blockbuster romantic film Vivah (2006), Bollywood actress Amrita Rao is all set to take up new challenge and explore the new talent of her as a host for Jaipur Jewellery Show in Jaipur. The show, which would be aired from November 20th on NDTV Good Times channel, will see beautiful actress Amrita Rao as a host. In an exclusive interview with us, the Main Hoon Na actress shared her experience of exploring completely new zone of her career. She also trashed the rumours of ever rejecting Sooraj Barjatya’s Prem Ratan Dhan Payo film. On soon gracing the Jaipur Jewellery Show as a host, Amrita talks on how it was challenging for her to do this show. This is different; it’s a lifetime fashion show, its first for sure. Yes because I was quite anxious about having responsibility of asking the questions to the jewellers in an area that I had no knowledge about, usually was use to answering and not asking questing that’s the first challenge to me and I think because the field was completely new to me, I definatley did had to do research and talk to the jewelers before I started with the show. Some of them were being interviewed on camera for the first time, they were little stiff so I had to talk to them have rapport for it. It was different experience for me for sure. Did you instantly agreed to come on board for the TV show, as it was something that you have done before? I instantly agreed with it because I was very fascinated and I am fascinated abide jewellery and with jewellery, since a little girl. I was a girl who always wanted to sneak inside my mom’s treasure box and pull up things and try them. That was completely my zone which I was very happy to explore, secondly because it was prestigious jewelry show and in association with NDTV Good Times which I also watch a lot regularly. It was combination of all that fascinated me. Does the show has upcoming seasons? We are doing more episodes, we shot couple of episodes and created our target and it has created a buzz already and there were more jewelers who wanted to be part of the show so we have extended it. It would be in the same season and I will be going back to Jaipur in few days for the same as the show would be aired from 20th November. Any films coming up in future? Yes, there are few, lets wait for the producers to make the official announcement. I will start with the shooting for the films early next year. Recently, there were talks that you have been finalized for Prakash Jha’s Satsang opposite Ajay Devgn? Is it true? I am not saying anything about it now. Rumours suggest that you rejected to play the role of Salman Khan’s sister in Sooraj Barjatya’s prem Ratan Dhan Payo. Is it true? No, okay I think now honestly you should be asking this question to Sooraj ji, Salman Khan because I really don’t know where this rumours came from. I was just not so pleasantly surprised hearing that rumours, Barjatya’s are so close to me and are like family to me, I am not happy to find rumours about it. In future if offered to be Salman Khan’s sister in the film, would you like to? Ya if it’s a role like Hare Rama Hare Krishna that starred Dev Anand. Such brother-sister kinds of a role, then I don’t mind. I don’t think otherwise. Are you looking forward to watch Salman Khan’s Prem Ratan Dhan Payo? Definately I am, in fact if I am in Jaipur I would watch it at Raj Mandir which is also owned by Sooraj ji’s extended family I would love to experience that. Also Read: Watch: Shah Rukh Khan’s Wonderful Reply To Salman Khan’s Birthday Message For Him! Also Read: Photos: Salman Khan’s Garba Time With Taarak Mehta Ka Ooltah Chashmah Team! Previous articleExclusive: Salman Khan’s Diwali Plans Revealed! Next articleBigg Boss 9 With Salman Khan: Prince Finally Confesses His Love To Yuvika In A Special Way!